The world of virtual reality is rapidly growing. Each year, more and more tech giants explore the technology by introducing different gadgets that have literally changed our world. 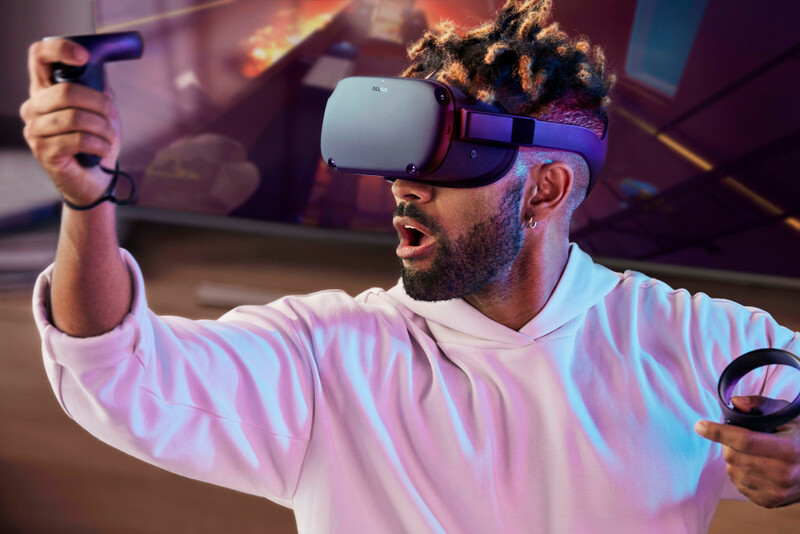 Just today, Facebook announced their newest offering – the Oculus Quest that features a “rift-quality experience” without the need to connect to a PC. According to the CEO of Facebook Mark Zuckerberg, their latest product would provide the users with a completely wireless experience. The Oculus Quest will be compatible with the Oculus Touch controllers and feature full hand and head tracking with six degrees of freedom. The new gadget is expected to be available in the market by next year and would carry an economical price tag of $399.99. Additionally, the Oculus will work with 50 existing Oculus applications including the popular Moss, Robo-Recall and other Rift titles. This is definitely a milestone in the world of virtual reality and more significantly for the Oculus brand whose previous offerings – the Oculus Go and the Oculus Rift worked solely by tethering to a computer. Moreover, the price is certainly a tempting feature for the VR fans who would get a chance to experience gaming in a wireless medium for a price similar to the HTC’s Vive. And of course, with the news of the latest Oculus on the way, we can now expect virtual reality to become more mainstream in the coming years.